Home of the TriSonics and HexaSonics! skills such as public speaking and marketing. The TriSonics, our High School team, compete nationwide in the FRC portion of FIRST. In January, a game is announced to all teams at the same time. Then, we have 6 weeks to design, build, and program our robots. Next, comes competition season! This consists of 6 weeks starting in March and ending in mid-April. Finally, the world championship is held the last week of April. The HexaSonics, our Middle School team, competes in the FTC portion of FIRST. In September, a game is released, in which you have until the end of November to build, then competitions start. The state championship, if we qualify, is in the middle of December. Following the state tournament, is Super Regionals, in Iowa. Then, the season ends at the World Championship in Detroit with the rest of the FIRST programs. We have three FLL teams at Allendale Public Schools. They receive a game in September and have until the third weekend in November for the competition. The State Championship is in the middle of December. There are two State Championships in Michigan, one of which we host at our high school. 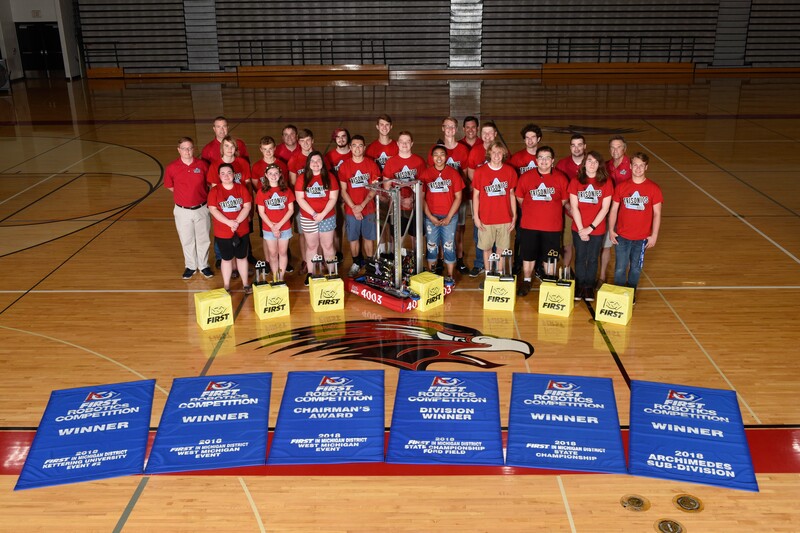 After the state competition, teams advance to the World Championship in Detroit. Jr. FLL is the most basic FIRST program and allows for young students to get excited about STEM. They have to do research on a new topic, related to the real world, and create a working Lego model to describe their research. Then, at tournaments, there is an expo for all of the JR. FLL teams to show off what they have learned and researched. After this tournament, their season is over.